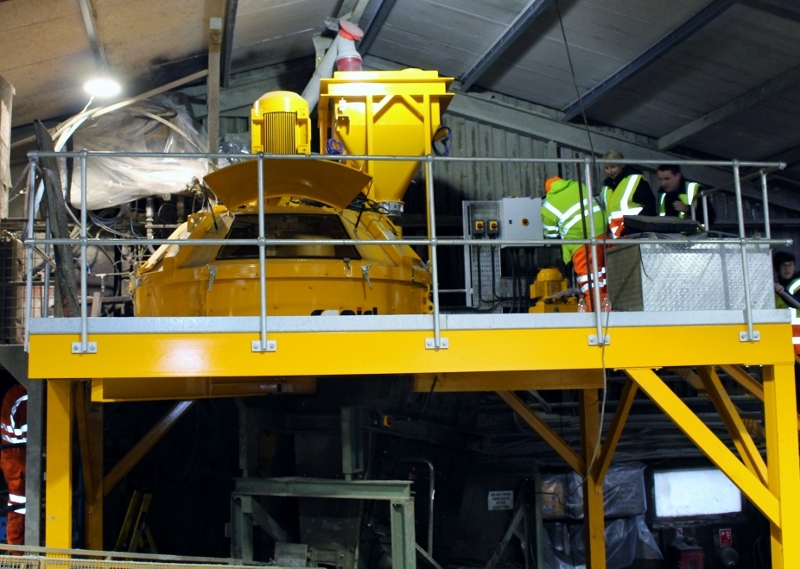 Rapid Planetary Concrete Mixer Upgrade for Lagan Tile Supports 24 Hour Production. County Armagh, Northern Ireland, 30 March 2017 – Rapid International Ltd (County Armagh) has recently supplied Northern Ireland based Lagan Tile with a new RP1000 Rapid Planetary Concrete Mixer. The concrete mixer was specified due to its high capacity and increased levels of energy efficiency. The new concrete mixer has been installed in Lagan Tile’s concrete roof tile production plant located in Lisburn, County Antrim. Lagan Tile began producing concrete roof tiles in 1995 at a purpose built factory near Lisburn in County Antrim, Northern Ireland. Since then, the company has grown from strength to strength, supplying customers in all sectors of the building industry in the UK and Ireland with quality products. Lagan Tile is a division of Lagan Products, which manufactures a comprehensive range of high quality building products for the UK and Irish construction industry, including, roof tiles, cement products, readymix concrete and blocks, bricks, sand, chimney and clay products. Lagan Products is one of seven divisions of the Lagan Group. Established in 1962, the family owned Lagan Group is one of the largest privately owned companies in Ireland, employing over 1,000 people with a turnover in excess of £350 million. From roads to runways, construction materials to civil engineering, Lagan Group operates worldwide in a diverse array of sectors constantly driven by its vision to build brighter futures. As a prior customer of Rapid, Lagan were confident in their decision to purchase the RP1000 Rapid Planetary Concrete Mixer as a solution to their requirements for higher capacities and increased levels of energy efficiency. 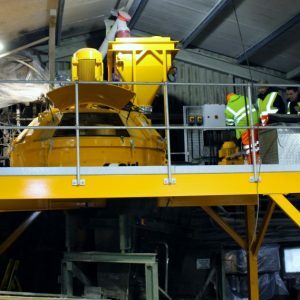 The mixer was supplied in partnership with Concrete Batching Systems, who designed, manufactured and carried out the full mechanical installation and integration of the Rapid Mixer, providing Lagan Tile with their specified concrete mixing plant upgrade. The Rapid RP1000 Planetary concrete mixer is capable of producing output batches of 1.0m3 and is ideal for smaller outputs, precast products and semi-dry coloured concrete. The Rapid Planetary’s star mixing action comprises of up to three rotating mixing stars, with each star consisting of two rotating mixer paddles. This unique mixing action ensures fully homogenised concrete. The RP1000’s standard features include: durable chill cast tiles, wear sleeves, paddles and heavy duty discharge door mechanisms. Safety concerns are mitigated with spring tensioned mixing arms. The mixer is complete with an up-rated gearbox, supplied by a specialist gearbox manufacturer.